Almost 2,000 years ago, the apostle Peter prophesied that in the last days scoffers would appear, arguing against the possibility of Christ's return. In addition to ignoring Christ's own promise to return, this argument is built upon a faulty premise: that "from before the times of our ancestors, everything has remained the same since the world was first created." In light of bible prophecy, simple observation would argue otherwise. Just as the apostle Peter prophesied nearly 2,000 years ago, this is the most common argument put forth by the non-believing public. 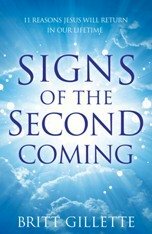 They argue that same signs of Christ's return have appeared to previous generations - all of whom believed Jesus would return in their lifetime. In making this argument, such people regard their proclamation that "everything has remained just the same since Jesus left" as some sort of self-evident truth. And, as we all know, things are pretty much the same now as they were in the first century. Or do they simply delude themselves into believing it? Numerous biblical prophecies foretold of the re-gathering of Israel as a nation. Approximately 2,700 years ago, God revealed to the prophet Ezekiel a "Valley of Dry Bones" (Ezekiel Chapter 37). God spoke of these bones (the Jews) gathered together and covered with flesh and muscles (re-gathered from the nations) with life being breathed into them (a dead nation brought to life once again). Beginning in the late 19th Century, the birth of the Zionist movement culminated in the gradual emigration of Jews from all over the world to resettle the land of Israel. Each decade the number of returning Jews increased, until finally the nation of Israel came to life once again in 1948. The claim that "everything has remained the same" since Christ first appeared doesn't account for the nation of Israel. In 1948, Ezekiel's prophecy was fulfilled right before the eyes of bible prophecy skeptics, and the world hasn't been the same since. This event occurred in our generation on May 14, 1948. From the year A.D. 70 to A.D. 1948 - the overwhelming majority of the time since Christ first appeared - Israel did not exist as a nation. The claim that "everything has remained the same" since Christ first appeared just doesn't make sense. The nation of Israel exists once again, and just as the bible stated, it came into existence in a single day. This prophecy is being fulfilled right before our eyes. Since 1948, the nation of Israel has been besieged, at one time or another, by every neighboring nation in its geographic vicinity. Against great odds, the modern state of Israel has fought and survived four major wars - in 1948, 1956, 1967, and 1973 - as well as numerous violent conflicts. Today, the City of Jerusalem, and Israel itself, are the epicenter of world attention. The Arab threat of war over Jewish possession of Israel and Jerusalem is a constant threat to world peace and international stability, making this geographic area a heavy burden on the world's leaders. The idea that this is simply "business as usual" or that "everything has remained the same" since Christ first appeared is utterly ridiculous. Despite its historical prominence, Jerusalem has never been "a burden for the world" until our generation. A coalition of these particular nations has never existed in history - at least until the present generation. Today, Russia and Iran are integral partners in a strategic anti-Western alliance. The other nations mentioned by Ezekiel are all anti-Western Muslim nations, and it's not unreasonable to believe they would join Russia and Iran in a quest to destroy Israel. Although this prophecy has yet to be fulfilled, our generation has been witness to unprecedented global cooperation and interdependence. Ours is the first generation in history that could seriously consider global government. In fact, given the current trend of technological development, global government will soon become a necessity. As a result, the claim that "everything has remained the same" since Christ first appeared is just plain absurd. The prospect of a truly global government has never been realistic for any generation in human history. But for our generation, it remains a very real possibility. Is human technology the same now as it was in past generations? Prior to our generation, most students of bible prophecy found it extremely difficult to comprehend certain end times prophecies. However, with the development of advanced technologies, many students can now see how such prophecies could be fulfilled. For instance, how could the whole world "stare at the bodies" of the two witnesses in Revelation 11? For the first time in history, this prophecy can be fulfilled through worldwide satellite coverage on cable news networks. As of now, the poorest people in the world don't have access to cable news networks, but the cost of video technology is declining rapidly. As a result, it's not difficult to imagine a day in the not too distant future when the entire world population has access to high-bandwidth video feeds via cell phones, PDAs, or other handheld devices, making it easy for them to view an unfolding event in real time. 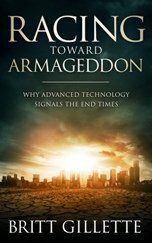 The amazing increase in the power of human technology in our generation opens the door for the fulfillment of such prophecies as the world looking at the bodies of the two witnesses, the Antichrist controlling world commerce, and the Antichrist conquering the entire world in a short period of time. Therefore, with each passing day, the notion that "everything has remained the same" since Christ first appeared continues to lose its credibility. Not only have transportation and knowledge increased, but their power and widespread use have done so exponentially. Simple observation has clearly shown this to be the case in the centuries since Daniel first recorded this prophecy. Knowledge and transportation are now widely available to both rich and poor now more than at any other time in human history. In generations past, most people never wandered more than a short distance from their childhood homes. Today, people routinely fly to the other side of the globe and back. In generations past, the world's collective knowledge could be summed up in few hundred books. 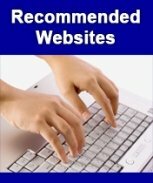 Today, millions of books and billions of Internet documents illustrate the unprecedented explosion in human knowledge. Given the clearly observable dramatic increase in humanity's knowledge base and ability to travel, how can anyone buy into the notion that "everything has remained the same since before the times of our ancestors"? Obviously, everything has not remained the same since Christ first appeared. Just look at the world around us. 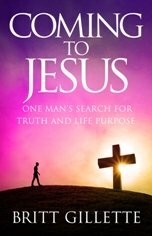 Yet for hundreds of years after Christ first appeared, the world was relatively unchanged. Today, there?s no denying it is significantly different. Jesus fully expected the world to be waiting and to recognize the time of His first coming. As we patiently await His second coming, he holds our generation to the same standard of accountability. We have full access to, and knowledge of, the prophecies of His second coming. The signs of His return are loud and clear. They are all around us. Israel is once again a nation. Travel and knowledge have increased exponentially. The Gog/Magog Alliance is forming, and scoffers are abundant. Jesus is coming soon. The wise person will take note and make preparations accordingly.